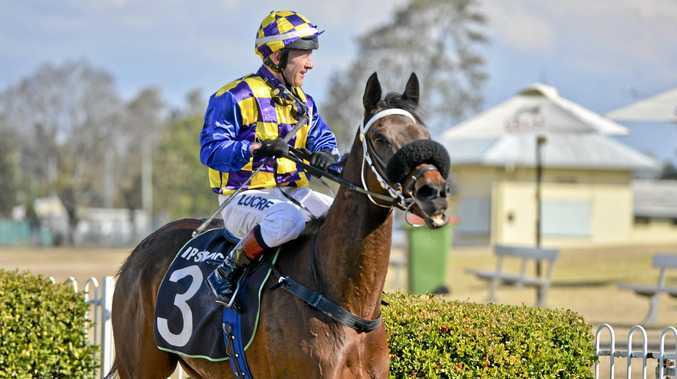 TRAINER Michael Lakey collected a rare Ipswich winning double at the latest race meeting at Bundamba. Based at Deagon north of Brisbane, Lakey takes the opportunity to gallop his horses on the nearby Sandgate beach in preparation for racing. The formula paid dividends on Friday. Lakey has a stable of about 20 horses in work. A winning double with just the two travellers to Ipswich was a big result for Lakey, and due reward for his efforts. Jockey Jeff Lloyd was aboard Our Jamaica as the Mossman mare collected her fourth career win for prize money earnings around $80,000. Lloyd collected his fourth Ipswich winner of the season as he moves ever closer to his planned retirement date in November. The first of the winning double for Lakey in Ipswich was Enterprise Grand in the previous race. Enterprise Grand collected his maiden win as the longest priced winner for the day at $14 despite placing in his previous two career starts. Michael Cahill was aboard Enterprise Grand as Lloyd rode the unplaced Gold Coast visitor Liability. 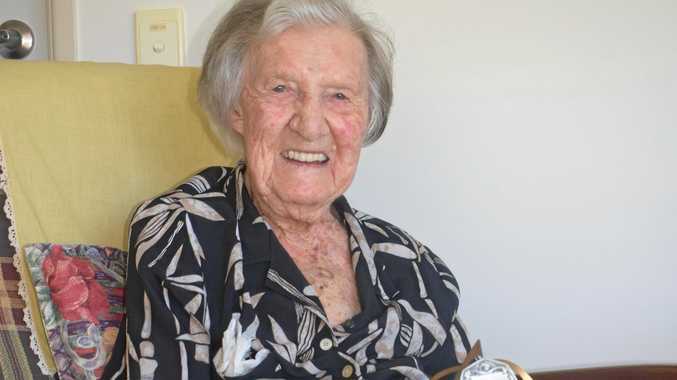 IN a quirky coincidence, Stormy Grey won for similarly named connections at Ipswich last week. The Bradbury's Luck grey won for owners Mr J Hanna, Mrs D. Hanna, and Mr A. Hanna. 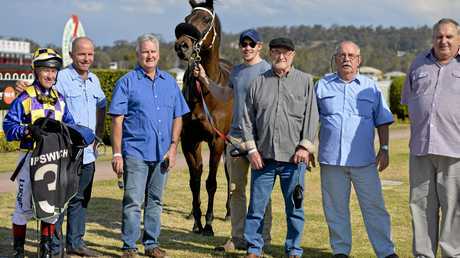 The trainer Jim Hannah was one of the owners and the winner was ridden by the apprentice with a similar Christian name - Hannah English for the Toowoomba based connections. At $8 in the betting, Stormy Grey displayed a preference for Ipswich collecting his third win there amongst seven career wins which have earned in excess of $100,000 prize money after 43 starts. THE eagerly awaited official opening of the Southern Spring Carnivals is on Saturday as the Group 1 Memsie Stakes is contested at Caulfield. The time honoured Memsie has been won by some outstanding gallopers over the years including Sunline (twice), Makybe Diva, and So You Think. The past three editions of the race have been won by the ruling favourite and last year's winner Vega Magic should again be favoured to defend his Memsie title after a scintillating first up win in the Bletchingly. The former West Australian will also chase one better in the Everest in which he finished second to Redzel in last year's inaugural running. AFTER a long dry and frosty Winter, track renovations will resume next week at Bundamba entering the first week of Spring. The long-term plan for the track renovation work is to return a layer of cushioning material to the surface of the course proper, increase the root growth zone, and marginally improve drainage. These works commence in April and are expected to continue for several years until the aims are achieved. The final Ipswich August race meeting is on Wednesday prior to Spring racing commencing next Wednesday. Other meetings next month are Fridays, September 14 and 21, before the AGM race day of Wednesday, September 26.